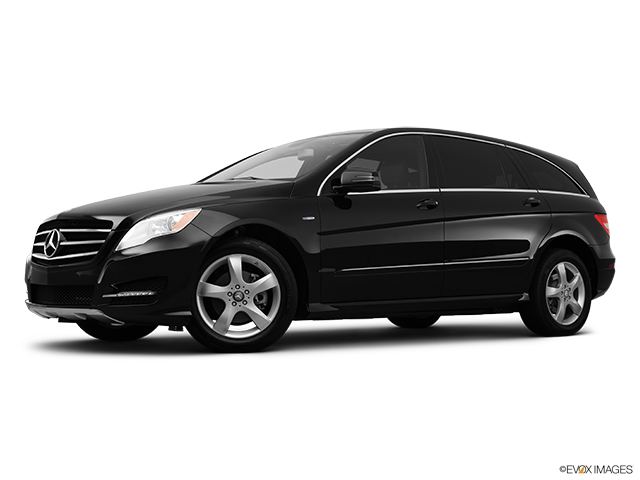 The used Mercedes-Benz R-Class comes with a swift engine and a high-end interior for seven passengers total. The ample head and legroom provide great comfort and the cabin offers plenty of space. 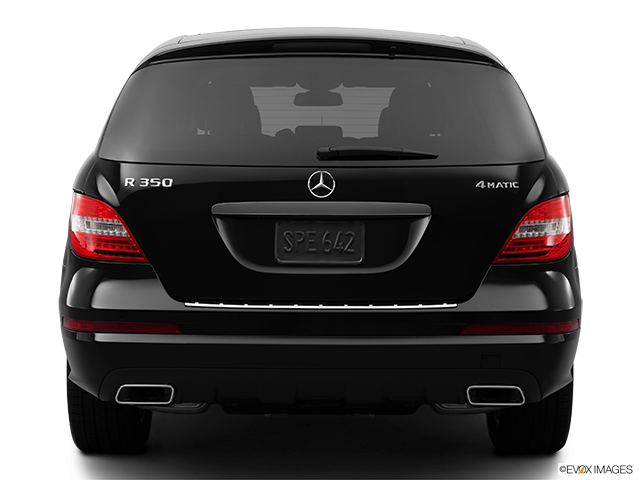 The used Mercedes-Benz R-Class is a luxury midsize SUV with three rows of seats and plenty of space in the cabin. The V6 engine offers a smooth and fast ride and the huge amount of torque makes this vehicle powerful and quick off the line. All passengers can enjoy ample head and legroom in all three rows with very easy access to the third row. The seats have a high-quality leather upholstery, the dash is packed with nice tech features, and the overall feel in the cabin Is that of luxury and comfort. Keep reading to get to know the features this vehicle offers in more detail. The standard engine is a 3.5-litre V6 that generates 302 horsepower and 273 lb.-ft. of torque. There are an all-wheel-drive system and a seven-speed automatic transmission. The steering wheel is impressively accurate and linear while the brakes work perfectly and bring the vehicle to a stop in no time. You will enjoy the way this vehicle handles since you do not notice the size of it in the performance. It drives smoothly and effortlessly while also providing power-packed rides. The automatic transmission is fuel efficient, which is another plus for this SUV. The interior is able to seat seven passengers in three rows of seats. The seats have leather upholstery and the driver and passenger seats are power-adjustable. The entry and exit are very easy thanks to the large doors and both children and adults can easily access the third row. You can notice the rich palette of materials inside the cabin with a lot of padded surfaces. This model provides the best cargo capacity in the class and the ability to increase it by folding down one or both rows of seats. That gives you a huge amount of space for almost anything you wish to put in there. The standard tech features include Bluetooth, an eight-speaker stereo with USB connectivity, a six-disc CD changer, dual-zone automatic climate control, tilt and telescopic steering wheel and a power sunroof. 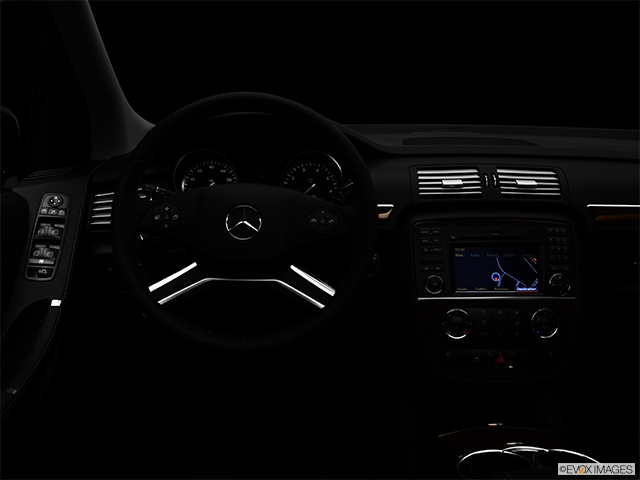 All the settings are handled through the COMAND navigation system and there’s a four-way directional button pad. The instrumental panel is easily read and placed nicely above the steering wheel. The windows are power-adjustable and can be controlled with the knobs mounted on the door. Some of the safety features include the Anti-Theft System, Daytime Running Lights, Traction Control, Child Safety Locks and Electronic Stability Control. 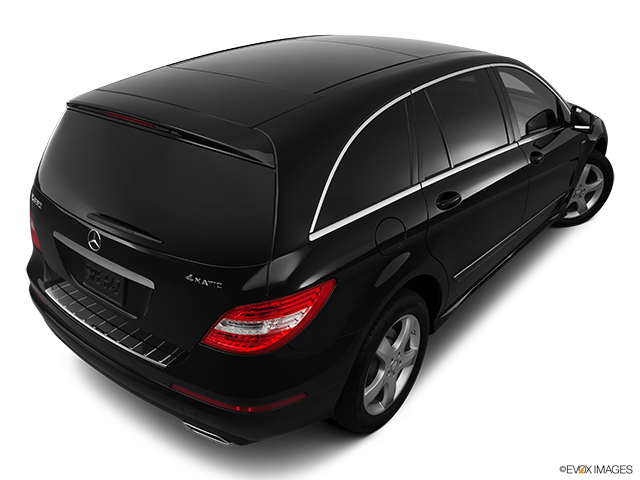 A Practical And Powerful SUV The used Mercedes-Benz R-Class is a luxury vehicle with a powerful engine and the overall above par interior quality. All three rows offer the same comfort and great amount of space. This vehicle is a perfect option for families since it can be a great practical everyday vehicle. When you have a handful of groceries, you’ll be able to easily open the boot with a remote without having to place your bags down. The smooth drive and precise steering offer a very enjoyable ride for all passengers. 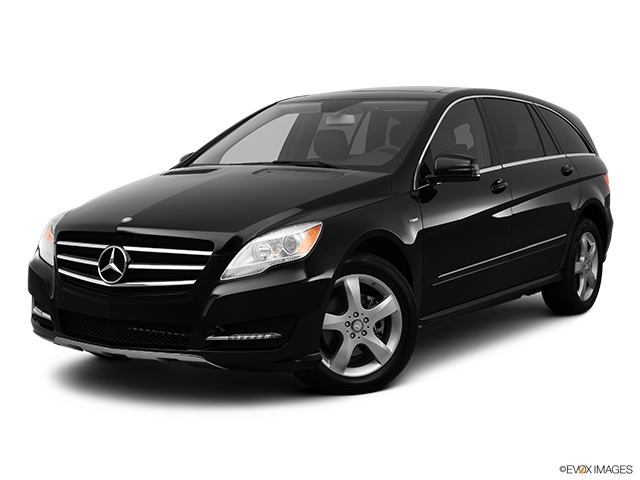 Based on all the features mentioned above, there’s no reason why you shouldn’t purchase the used Mercedes-Benz R-Class.